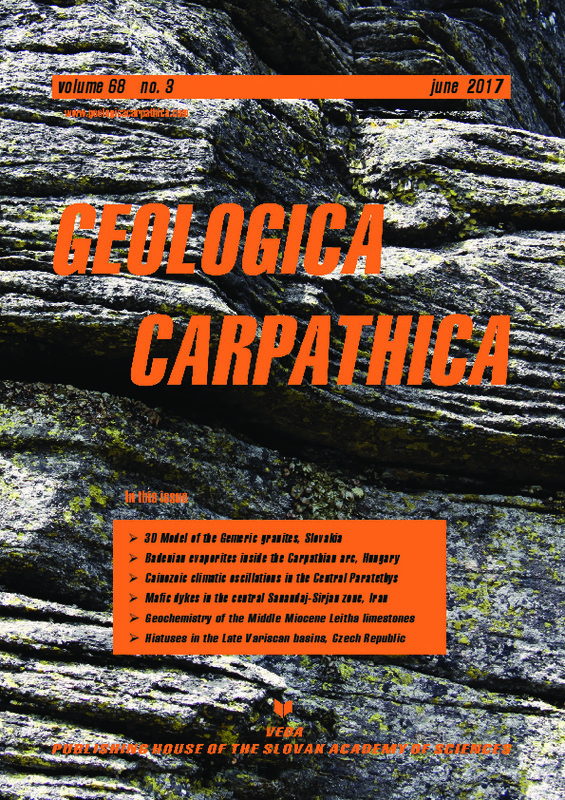 Abstract: The position of the Gemeric Superunit within the Western Carpathians is unique due to the occurrence of the Lower Palaeozoic basement rocks together with the autochthonous Upper Palaeozoic cover. The Gemeric granites play one of the most important roles in the framework of the tectonic evolution of this mountain range. They can be observed in several small intrusions outcropping in the western and south-eastern parts of the Gemeric Superunit. Moreover, these granites are particularly interesting in terms of their mineralogy, petrology and ages. The comprehensive geological and geophysical research of the Gemeric granites can help us to better understand structures and tectonic evolution of the Western Carpathians. Therefore, a new and original 3D density model of the Gemeric granites was created by using the interactive geophysical program IGMAS. The results show clearly that the Gemeric granites represent the most significant upper crustal anomalous low-density body in the structure of the Gemeric Superunit. Their average thickness varies in the range of 5–8 km. The upper boundary of the Gemeric granites is much more rugged in comparison with the lower boundary. There are areas, where the granite body outcrops and/or is very close to the surface and places in which its upper boundary is deeper (on average 1 km in the north and 4–5 km in the south). While the depth of the lower boundary varies from 5–7 km in the north to 9–10 km in the south. The northern boundary of the Gemeric granites along the tectonic contact with the Rakovec and Klátov Groups (North Gemeric Units) was interpreted as very steep (almost vertical). The results of the 3D modelling show that the whole structure of the Gemeric Unit, not only the Gemeric granite itself, has an Alpine north-vergent nappe structure. Also, the model suggests that the Silicicum–Turnaicum and Meliaticum nappe units have been overthrusted onto the Golčatov Group.